You may remember the Christmas craft supplies guide I shared a couple of days ago. 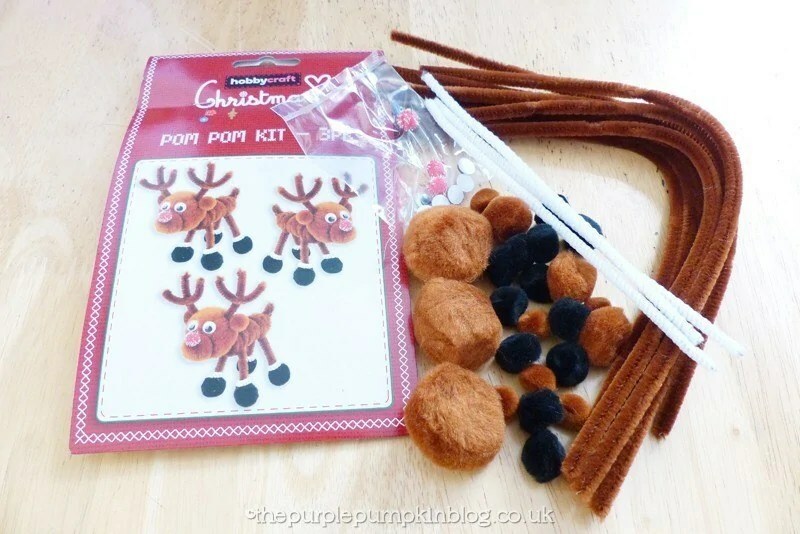 I included a very cute reindeer craft kit, which had been sent to me by Hobbycraft. My kit had gone AWOL, but, yay, it was found! 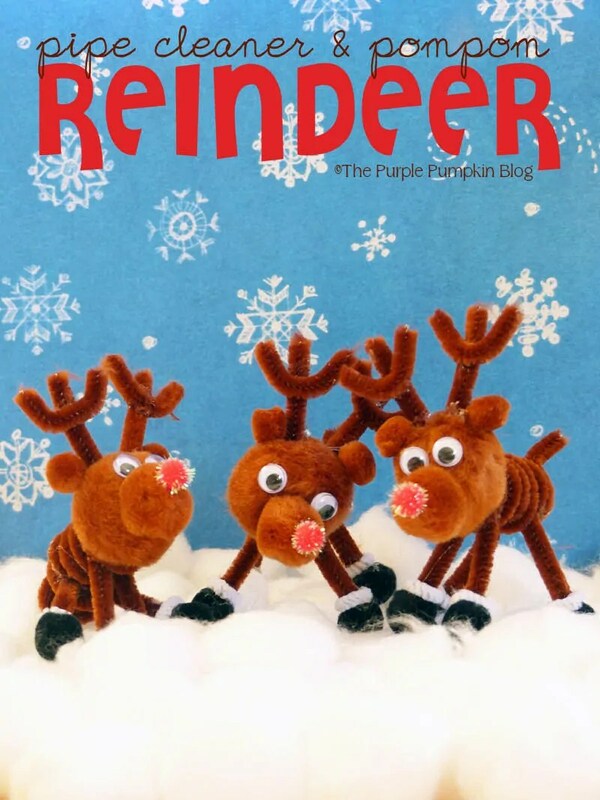 So I constructed the reindeer using the supplies that were included with the kit, and here they are! Aren’t they just the cutest little guys?! 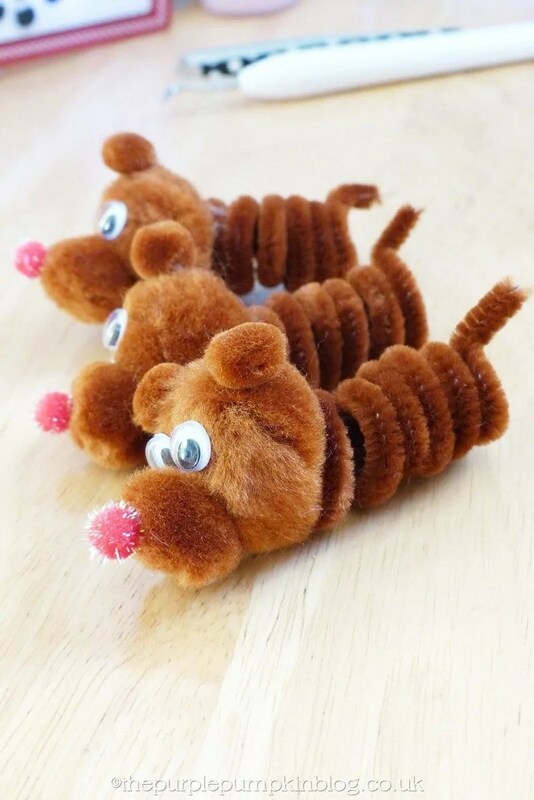 However, if you haven’t got the kit, you can easily make them yourself using pipe cleaners (chenille stems), pom poms, googly eyes and some glue. I’m going to show you how easy they are to make! I’ve included my Amazon Affiliate links below for UK and US Amazon. 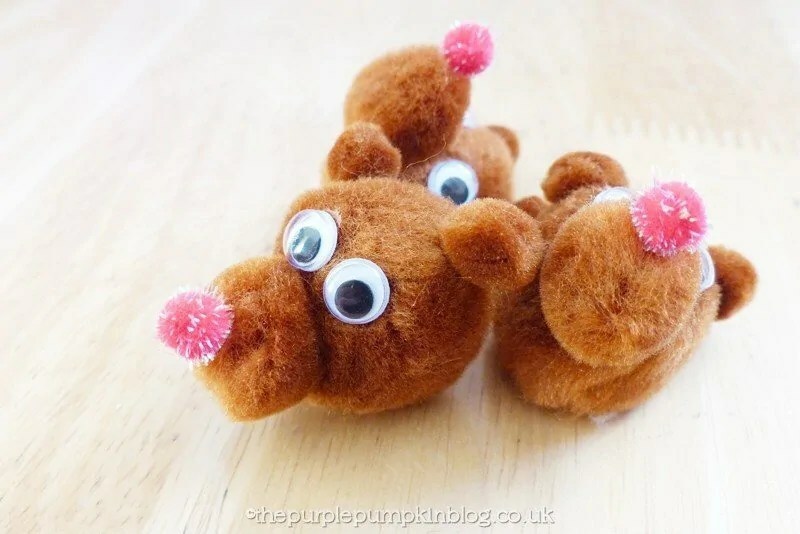 Glue the medium brown pom pom to the front of the large brown pom pom to form the snout. Glue the red pom pom to the snout. 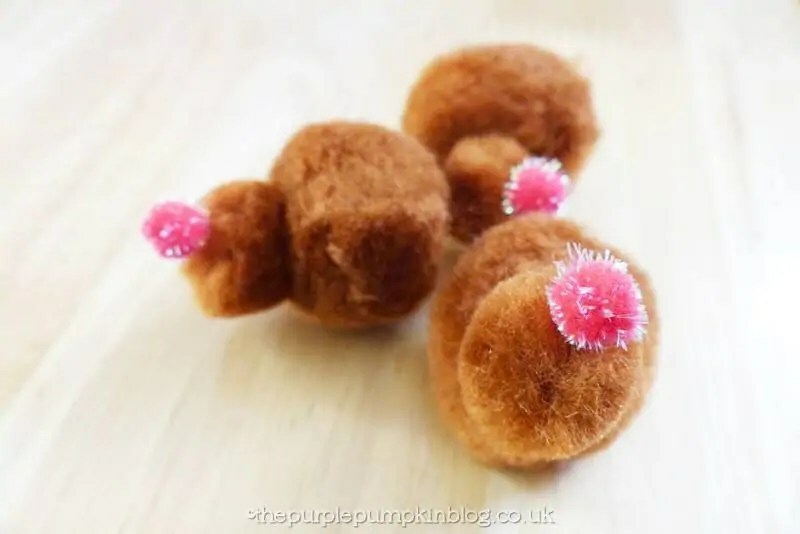 Glue two small brown pom poms to the top of the large brown pom pom to form the ears. Stick the googly eyes on just above the snout. Leave to dry. 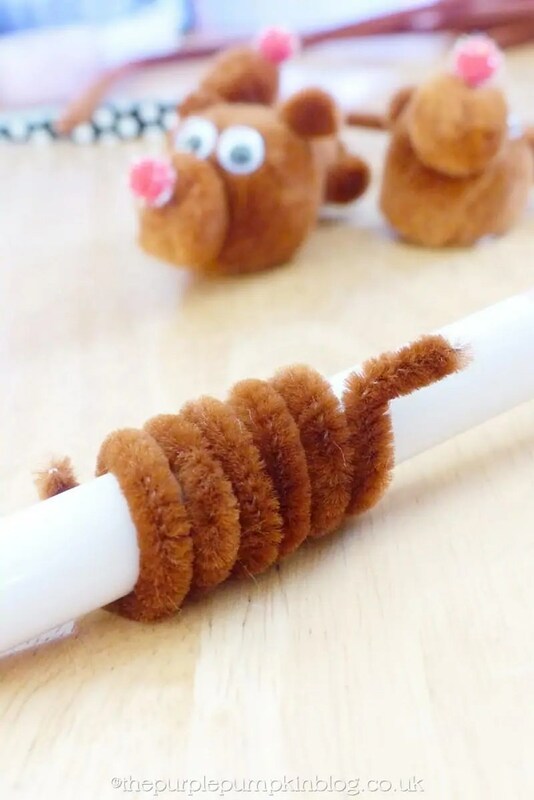 Wrap a brown pipe cleaner around a pen or pencil to form a coil, bending the end upwards to form a tail. Carefully remove from the pen/pencil. 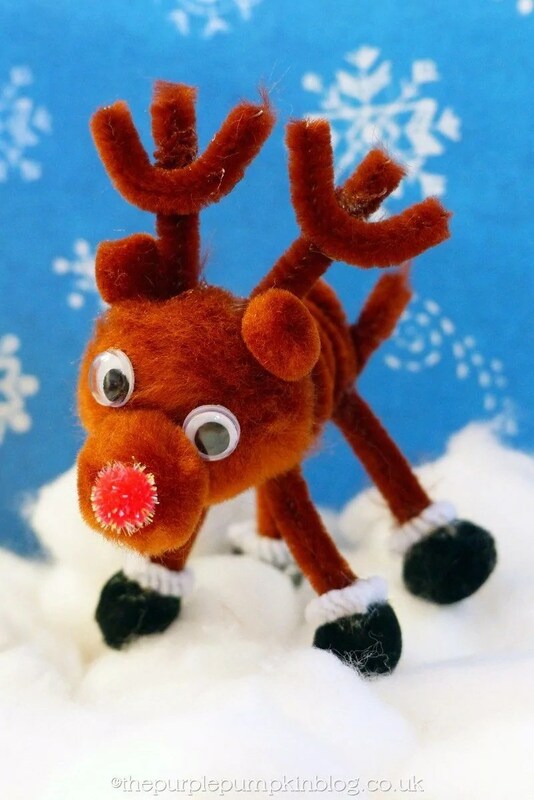 Glue the non-tail end of the pipe cleaner coil to the back of the reindeer head. Leave to dry. 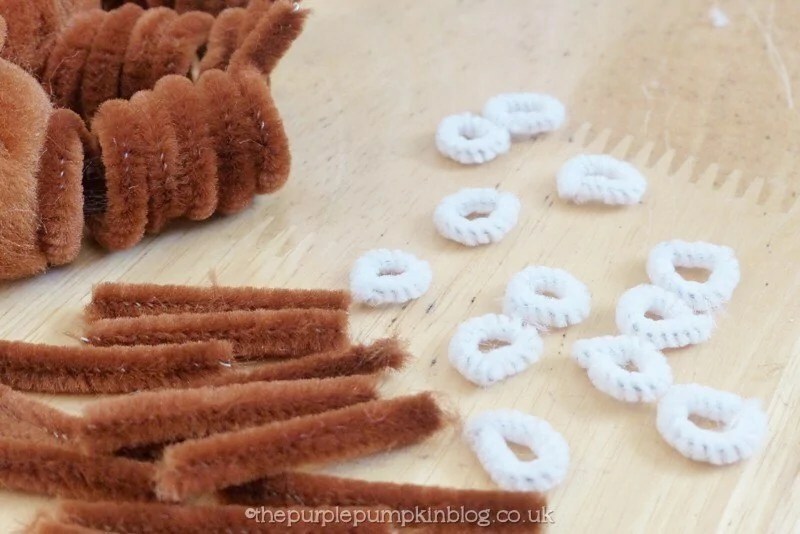 Cut brown pipe cleaners down into 12, approx 1″ lengths. Cut the white pipe cleaners down into 12, approx ½” lengths and coil around to form a ring as shown. 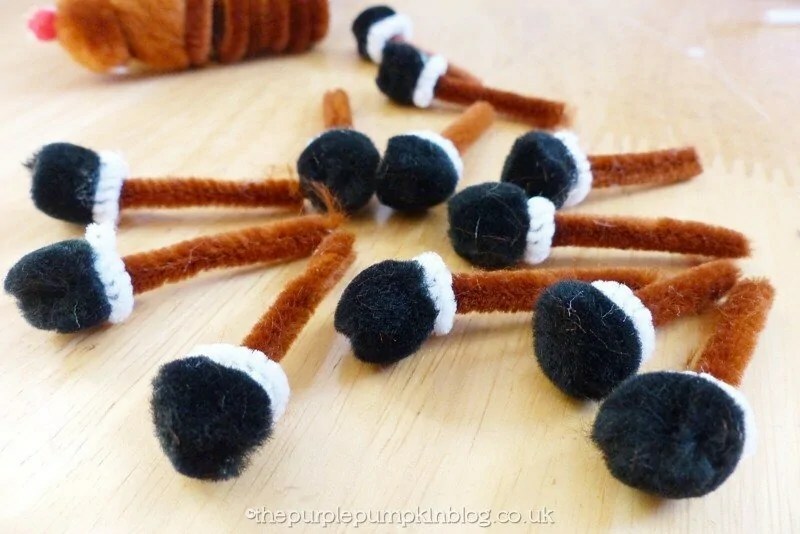 Glue the white pipe cleaner rings to the black pom poms, and then glue the brown pipe cleaner lengths in the middle of these rings. Leave to dry. 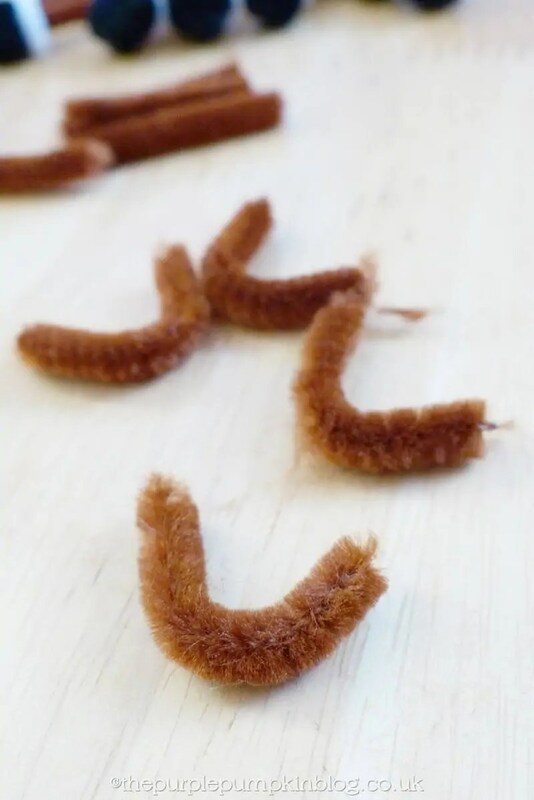 From a brown pipe cleaner, cut 12, approx 1″ lengths. Gently bend 6 of them to form a kind of “U” shape as shown. 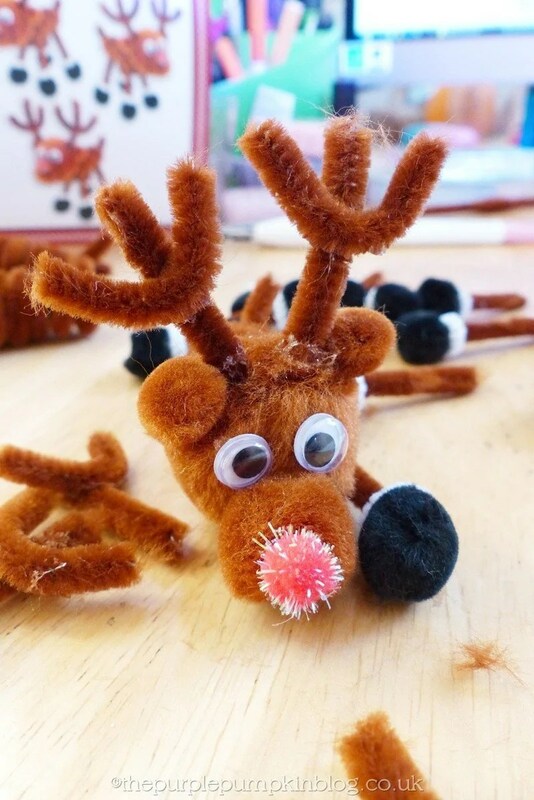 Stick these about a third of the way down each of the 1″ lengths of brown pipe cleaner to form the antlers. Leave to dry. When the antlers are dry, stick to the top of each of the reindeer heads, just next to the ears. 5. 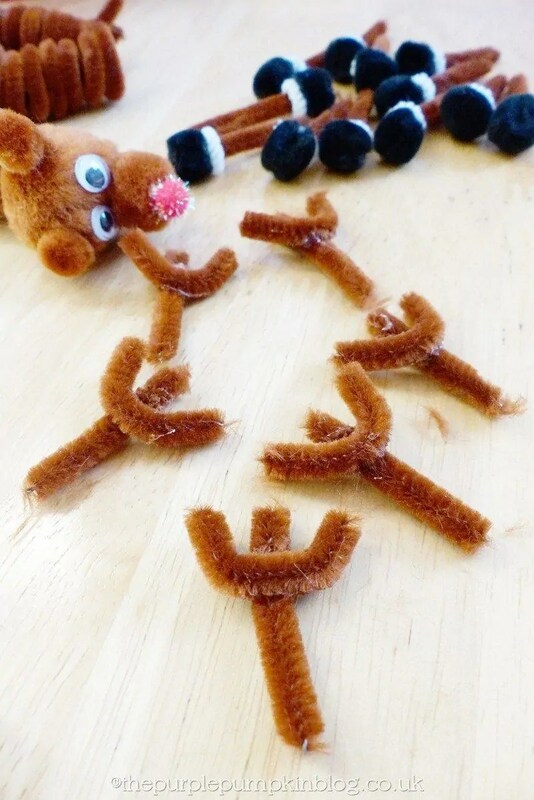 Your finished reindeer craft! 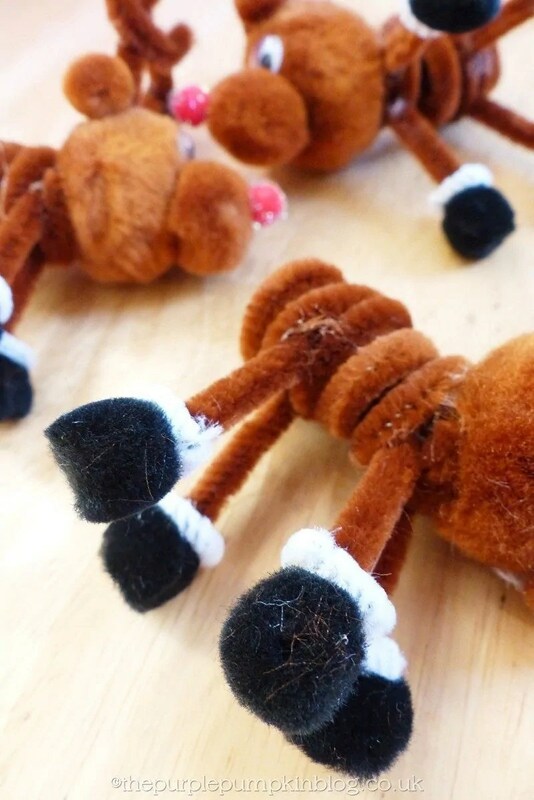 Once completely dry, you can maneuver the legs of the reindeer to make them stand up!